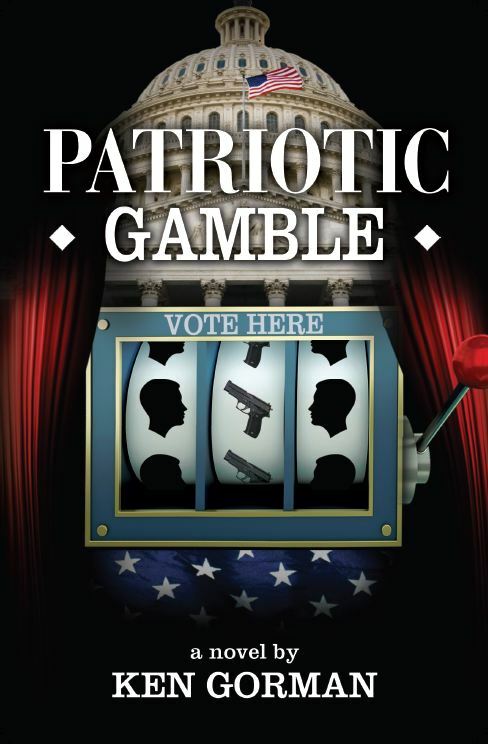 "Mixing history, intrigue and suspense..."
Patriotic Gamble - Ken Gorman's book of political intrigue! Suspense and unexpected turns following the days after a presidential election. A political thriller which tells of a presidential election process gone haywire. Bizarre happenings electrify the days and hours leading to the Inauguration. "...delivers West Wing style action, full of breathless updates and sharp twists. Readers will emerge rewarded by following the political machinations to their conclusion." "...fraught with politics, intrigue, conspiracy, suspense and romance. ..could be ripped from the headlines... ...as if I was sitting in on a meeting between the President, his Chief of Staff and an adviser." Purchase Patriotic Gamble in softcover, for your Kindle or for your Nook today! Click here to purchase the softcover version at Amazon! Click here to purchase for your Kindle at Amazon! Click here to purchase for your Nook at Barnes and Noble!